It is said that too many cooks spoil the broth. Does anyone understand what is happening in uniting the opposition? 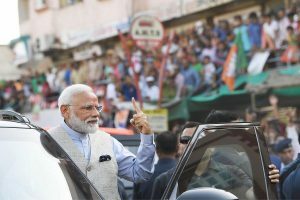 It is quite laudable that many opposition parties, small and big, regional and national have realised that the time has come for them to come together to check the surge of the BJP if they have to survive and that is why these parallel efforts are taking place, each one trying to be smarter than the other. The year 2018 began with the unity efforts of the NCP chief Sharad Pawar organising an impressive march to the Gateway of India in Mumbai on a “save the Constitution” march in which several small and big opposition parties participated. Ahead of the Parliament session, he took it forward by holding a meeting of the opposition in Parliament to chalk out floor strategy. On March 27 he had a more meaningful one-to-one meeting with the Trinamool Congress chief and West Bengal Chief Minister Mamata Banerjee in New Delhi. Pawar is one of the senior-most leaders in the country with experience of having been chief minister and Central minister and has excellent equations with many political parties. However, the most important thing for him is to be relevant in Maharashtra in the coming Lok Sabha and later Assembly polls. He has already worked out his strategy by declaring that his party NCP would fight with the Congress. Interestingly, only last month another new player emerged on the national scene. The Telengana Rashtra Samithi chief and Telengana Chief Minister K.Chandrashekhara Rao suddenly jumped into opposition unity efforts by declaring that he would strive for a federal front minus the Congress. He got support from the West Bengal Chief minister, whom he called on in Kolkata on March 17. But Mamata sprang a surprise on him by coming to Delhi this week making a stir by meeting several opposition leaders including Sharad Pawar, Sonia Gandhi, Delhi chief minister Arvind Kejriwal and also some disgruntled BJP leaders like Shatrughan Sinha and Arun Shourie. Mamata is reaching out to M.K. Stalin (DMK), Uddhav Thackeray (Shiv Sena) and other regional leaders. Some opposition leaders feel Mamata has signaled that she is peeved with Congress for not involving her in the northeast campaign or in the earlier Gujarat election. The Congress on the other hand is wary of these parallel efforts and thinks that being the national party it should lead the opposition. 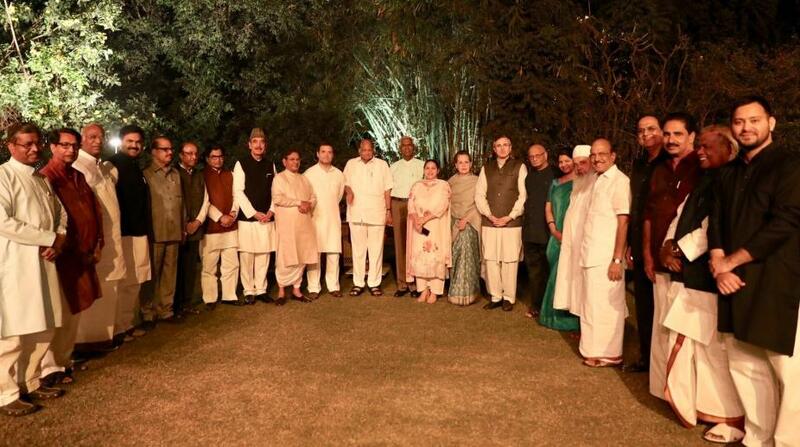 Sonia Gandhi, in her capacity as the Congress Parliamentary Party leader convened a meeting of opposition leaders in Parliament and 20 parties participated in her dinner meeting. Mamata Banerjee sent only her representative. Sonia, who has taken a back seat from party affairs after handing over the baton to her son, has shown by this effort that the Congress is still in the reckoning. It was she who built the UPA in 2004 and it ruled for ten years. Not to be left out, Andhra Pradesh chief minister and Telugu Desam supremo N. Chandrababu Naidu has also jumped into the race by declaring this week that he too would try to build opposition unity. For one thing he played an important role during the United Front days from 1996 to 1998 and believes that he has the ability and track record to build a third front. After quitting the NDA, he needs support of other parties in the upcoming Assembly and Lok Sabha polls. So what do all these moves by the regional satraps and Congress mean? They show up the divided opposition. There are many obstacles before they succeed with unity plans. Though they are parallel efforts, the goal is the same – to defeat the BJP in the next Lok Sabha polls. Secondly, earlier efforts like this had been tried and the UNPA was a classic example. But it did not take off because of the ego clash between the SP chief Mulayam Singh Yadav and then Tamil Nadu chief minister J.Jayalalithaa. Where is the guarantee they will succeed this time? The third is who will be their prime ministerial face? Mamata has made it clear that it will be decided later depending upon the number of seats each party wins, leaving the hard decision to a later date. The fourth is what will be the role of the Congress? Although KCR had declared that he wanted a non-BJP, non-Congress front, persuaded by Sharad Pawar, Mamata is willing to concede a role to the Congress in supporting the regional parties. After all most of these parties had been part of the earlier UPA. Whether there will be parallel fronts or no front, one thing is clear. Unless the opposition is united, the BJP will come back to power because of a divided opposition and the lack of a credible face of the opposition. It is too early to predict now, as only nearer the polls will things crystallise.